Notepads are great for branding purposes. You notice that pharmaceutical companies use branded memo pads all the time, and for good reason. People see the use in having paper pads to write on. 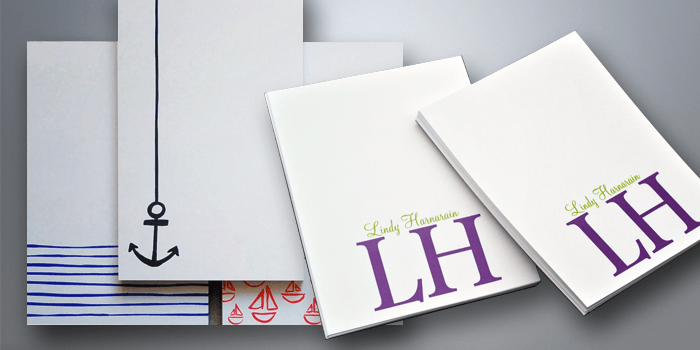 UZ Marketing's notepads have a sturdy cardboard backing, and are printed using a full color process. Sizes range from 4"x6" to 8.5"x11"
Size 4" x 6"4.25" x 5.5"8.5" x 11"8.5" x 3.5"8.5" x 5.5"